Larissa has been exploring her passion for West African, Congolese, and Afro-Cuban rhythms since 1995 with many teachers, including Mabiba Baegne, Ubaka Hill, Yona Fleming, Malonga Casquelord, Carolyn Brandy, Stori Davis, Amadou Camara, and Afia Walking Tree. 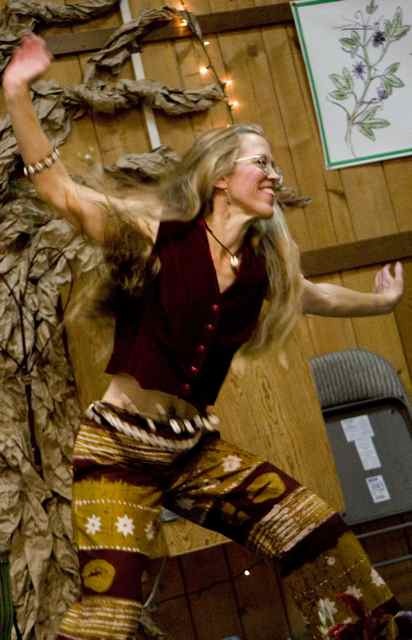 Sh e performs with Afia Walking Tree's Spirit Drumz ensemble as well as with Mamayah, a Sonoma County-based women's West African drum ensemble. Larissa accompanies dance classes, women's rituals, and healing circles. 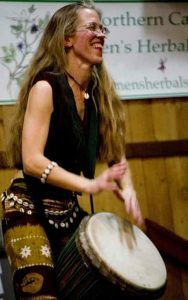 In her own words Larissa shares: "Drumming allows me to express my joy, strength, and freedom, while serving the spirit of the music, the dance, and the empowerment of women."